You have probably heard of quinoa and it seems to be everywhere you go. 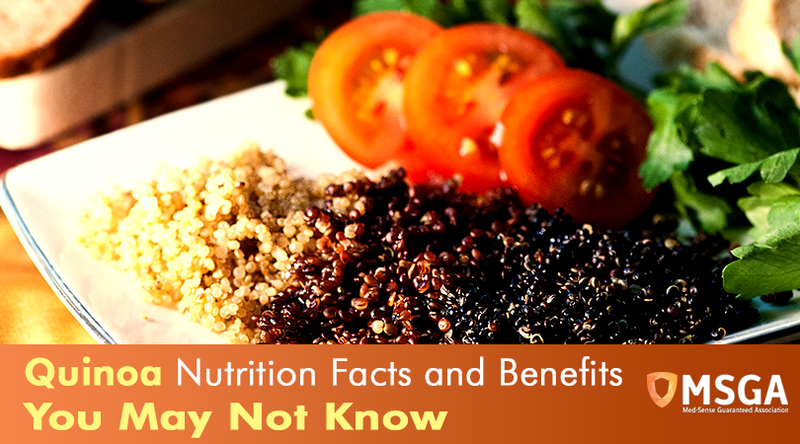 It’s not hard to find a quinoa benefit that will help with your health. This hard to pronounce food has some interesting benefits that are good for you and some interesting facts you may not be aware. It’s Actually a Seed: Many people think that quinoa is a grain, and since it looks like one it’s easy to see why it could be, but it’s actually a seed. This can help explain why it’s nutritionally dense. It is part of the goosefoot family and is a cousin to spinach, beets, and tumbleweeds. It’s Naturally Gluten Free: Those who are sensitive to gluten will enjoy this quinoa fact and be happy to know that quinoa is naturally gluten free. Since it has a texture that can be similar to rice, it can be enjoyed by just about anyone. The Crop Can Grow Anywhere: Most of the quinoa the world consumes is grown in South America, mostly in Bolivia and Peru. However, it’s an adaptable crop that can grow basically anywhere. You can find quinoa growing in areas at sea level to an altitude of 12,000 feet. It can withstand temperatures from 17.6 to 100 degrees Fahrenheit. It’s a Plant with Protein: There aren’t a lot of plants that have an extra protein boost, but vegetarians or vegans looking to get in some more protein can enjoy this quinoa benefit. Eggs and meat have the nine amino acids that the human body can’t produce and vegetables usually don’t. However, quinoa has them. It’s Great for Your Hair: When you eat quinoa, you are actually helping your hair. Quinoa helps clean hair follicles and the nine amino acids found in the superfood help protect the hair shaft and can strengthen and repair damaged hair. These seeds can even help reduce dandruff and dry scalp. It’s Possible to Drink Quinoa: Other countries, usually in South and Central America, have a drink named chichi that is made of quinoa and corn. It is often served during social gatherings and to visitors. It can taste a little different depending on which country you are consuming it in, and it can sometimes be fermented. NASA Has Used Quinoa for Long Duration Space flights: Quinoa is one of the foods that is preferred by Cape Canaveral because of the amount of nutrients that is found in this food. The World Health Organization even equates protein levels in quinoa to those that are found in milk. It Can Help with Weight Loss: Another quinoa benefit is weight loss. There is a high amount of protein, but there is also a lot of insoluble fiber. With this combination, it can help you feel full longer, which leaves you more satisfied and you are less likely to eat more. There are studies that have shown that quinoa can help activate gherkin, petides, insulin, and hormones that also help with weight loss. The food also contains a lot of manganese, which can help improve digestion. It Could Help Prevent Cancer: Quinoa is full of antioxidants that have properties that can fight off cancer. It also contains other nutrients that can ward off cancer, which include lunasin, quercetin, and saponin. Research is still new, but it can’t hurt to incorporate this food into your diet.